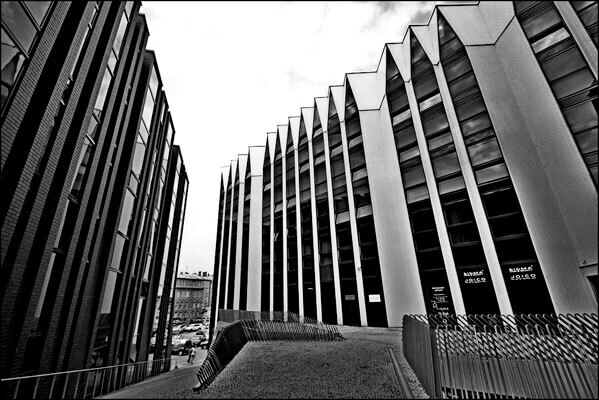 If you are planning to visit Estonia, then the Rottermani modern architecture district in Tallinn is a must-see! This is the favorite place of all the locals. It is perfect for shopping, relaxing, eating, and even working. There are always a lot of cool and interesting events going on there and you can even take part in all of this. Rottermani Quarter is located near the harbor, close to the heart of Tallinn’s Old Town. In 1829 a person named Christian Abraham Rotermann founded a big company. As years passed the company grew bigger and the Rotterman Quarter became the industrial center of Tallinn. The quarter got its name in the 19th century. The Rotermann properties were actually located all over the city, but Christian Barthold Rotermann wanted to gather the company in the range of the Rotermann Quarter so later it was turned into reality. Not too long ago the quarter was bought by a group of manufacturers who had a lot of new ideas. These small abandoned industrial buildings were rebuilt into a modern architecture masterpiece. Now those once wrecked buildings look truly remarkable. Designers were able to turn those awful industrial buildings into beautiful pieces of art combined with modern architecture. Now those factories, plants, mills, and stores are unique in terms of their architecture. The Salt Store constructed in 1908 has been placed under protection and now is housing the Estonian Architecture Museum. Also, in 2001 a multiplex cinema named Coca Cola Plaza was opened in the Rotermann Quarter.